Last summer we made the family decision to reduce our grocery spending by significant proportions. One week into The Project we realized that boxed breakfast cereal was out of the question if we wanted to meet our budget. Daily oatmeal became the standard for breakfast. Regular oatmeal is cheap as all get out. Certified gluten-free oats are quite a bit more expensive, yet still cheaper that boxed cereal and certainly more hearty. For my family, eating boxed cereal for breakfast is equivalent to eating air and calling it a meal. Without oatmeal in the morning, my three monkeys are starving and out of their minds. With oatmeal in the morning, the monkeys are satisfied and stable until 10 o'clock snack time. We need our oatmeal. For Celiacs, certified gluten-free oats are a necessity, not a want. Regular oats throw my Celiac son into a tailspin. Oats in-and-of-themselves do not contain gluten. But since they are a major agricultural product they are typically handled in the same grain elevators and processing plants as wheat, barley and rye. Thus, oats are cross-contaminated with gluten on their way to your cupboard. 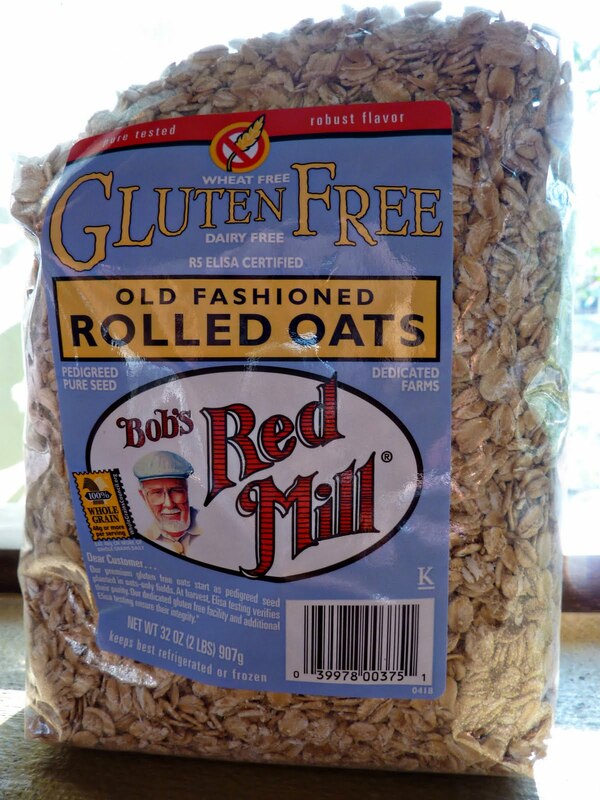 Bob's Red Mill produces great certified gluten-free Old Fashioned Rolled Oats. My major grocery store carries them, as do all of the local natural grocers and Amazon.com. Find yourself some yummy certified gluten-free oats today and find yourself happy tomorrow morning!